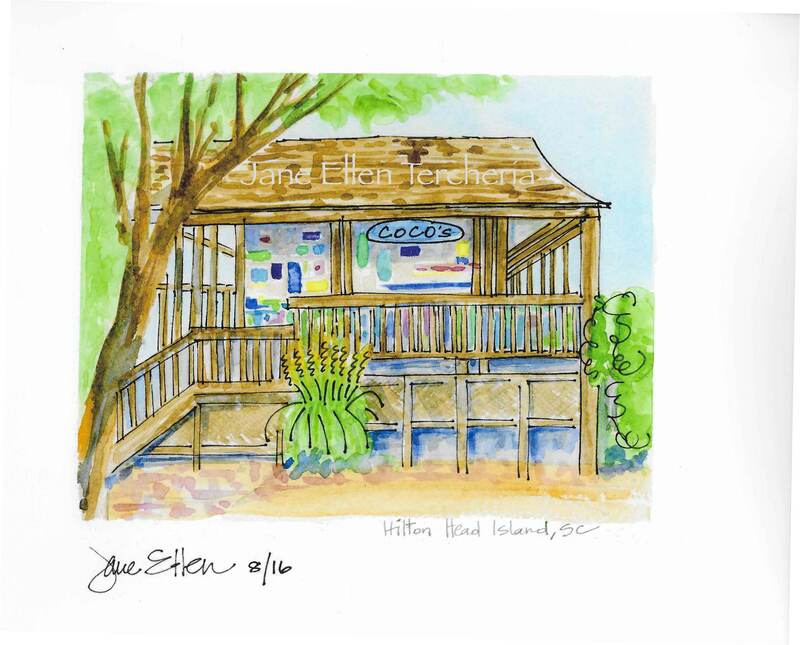 I created this rendering after a trip to Hilton Head Island, SC. Hilton Head is a unique island where people ride bikes to the beaches, restaurants, and inland waterways past lighthouses, golf courses, and gators. My trip included adventures, music, memories, laughter, drinks, and lots of seafood. On one adventure, we ended up at this hidden gem called Coco's. Legend has it this open air destination can only be reached from the beach or the golf course. My kind of place! It is a professionally printed giclee. The image is approximately 7.25 x 7 inches, matted to fit in an 11 x 14 " frame.